Right now, Vermonters are ankle-deep in mud season, that ugly time of year when melting snow unearths winter's long-concealed objects: toddlers' bikes, errant Frisbees, windblown recyclables, dogs' lost chew toys. Debris isn't all that the receding snow cover reveals. 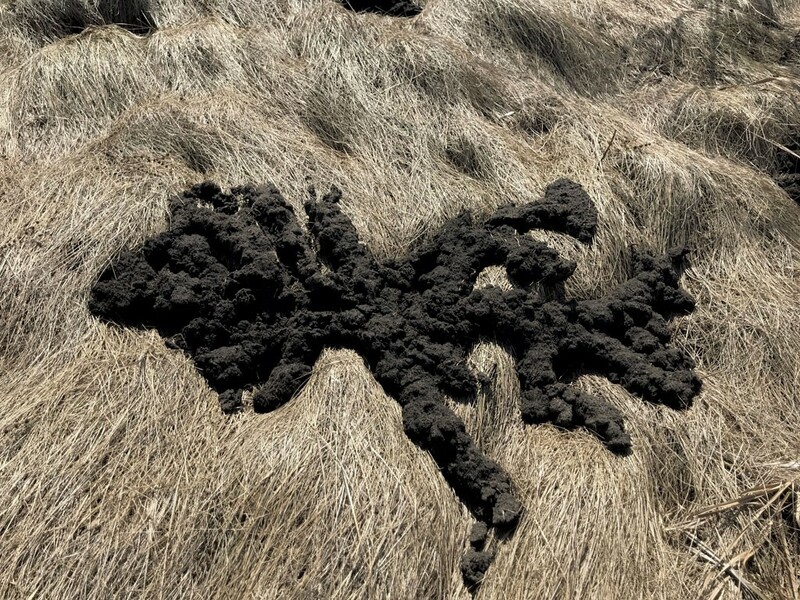 In mid-March, Tim Guiterman spotted an unusual dirt formation in a meadow near his Shelburne home and emailed photos to see if we could figure out what it was. "It looks like an alien made it," he wrote, suggesting that the nearest description would be "a wig of dreadlocks laid on the grass." After a little digging on our part, the culprit turned out to be no stranger to the Vermont landscape. According to Alyssa Bennett, a small-mammal biologist with the Vermont Fish & Wildlife Department, those dirt mounds appear to be mole burrows. 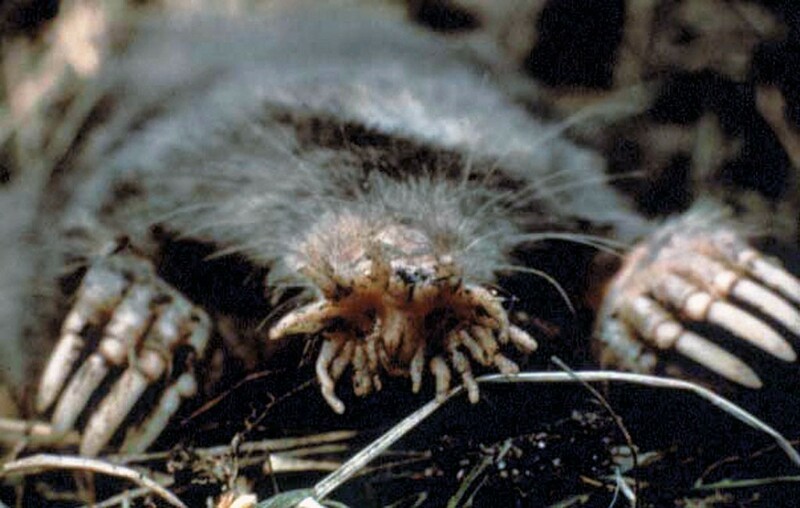 Based on the photos, Bennett couldn't identify which species created them, but she suggested the likeliest contenders are two species common in the state: the hairy-tailed mole and the star-nosed mole. Guiterman's reference to an alien life form isn't that far afield. The star-nosed mole is a freaky-faced forager with fossorial forefeet that resembles a Dr. Seuss character. Spotted with a flashlight after nightfall, it would scare the bejesus out of most kids — and probably plenty of adults. Though moles resemble rodents, Bennett noted that they're actually insectivores that burrow just beneath the surface while hunting for food. Their bug-laden diet includes spiders, ants, grubs, beetles, larvae and earthworms. Because moles don't hibernate, they dig underground all winter and shovel soil to the surface, which only becomes visible once the snow disappears. "They will have other places that they're mining much further below the surface," Bennett explained, perhaps as far as two feet down, where they excavate runways and dens for nesting. Indeed, these solitary subsurface dwellers are ideally suited to underground living, with tiny eyes; sleek, velvety fur; and paddle-like front claws that are adept at digging. "The star-nosed mole is amazing," Bennett said. "They actually swim pretty well and are often found in wet environments ... We've even found star-nosed moles in some of the duck nesting boxes out at Dead Creek [Wildlife Area]," a state wildlife management area in Addison and Ferrisburgh. How can the casual observer tell mole burrows apart from the work of a gopher, aka the arch-nemesis of Carl Spackler, the marble-mouthed groundskeeper played by Bill Murray in the 1980 film Caddyshack? Gophers create holes and mounds, Bennett said, not rippled trails of dirt. While some gardeners grouse about moles gnawing on their carrots, potatoes, turnips and other root veggies, Bennett said moles generally leave those plants alone. (The more likely offenders are voles and mice.) Those who are finicky about maintaining a pristine lawn or a level putting green also consider the animals pests. But, as Bennett pointed out, moles serve useful ecological functions. "Although some people find the mole paths unsightly, it is helping to aerate the soil in many cases," she said. "And they feed on larvae and grubs, which can be pests to lawns." Moles consume 70 to 100 percent of their body mass every day, which means they're pulling their own weight in the pest-control department. Which raises another interesting question: Since moles also eat earthworms, are they helping to control those pervasive invasives? As my 6-year-old son likes to say, "Wait! What?" Turns out, many of those fat earthworms that appear on sidewalks and dirt roads after a rainstorm aren't actually from these parts. Invasive earthworms are creating problems for Vermont's forests, including some sugarbushes. According to a January 2018 report from the University of Vermont's Entomology Research Laboratory, invasive worms first came to New England with European settlers in the 1600s. Their spread was sped by human activities such as fishing (since they're used as bait) and the transport of plants and mulch. Of particular concern are three Asian species that threaten the northeastern hardwood forests: Amynthas agrestis, Amynthas tokioensis and Metaphire hilgendorfi. The problem with these unwanted wigglers is that they gobble up leaf litter on the forest floor, reducing the soil's productivity and preventing the germination of many seeds, including those of maples. Loss of that thick mat of dead leaves also dries out the soil and harms the health of existing trees. Because Bennett is a mammal specialist who spends most of her time working to protect Vermont's endangered bat species, she couldn't say whether moles were making much of a dent in Vermont's invasive worm population. But Josef Görres, an associate professor in UVM's Plant and Soil Science Department, sounded a pessimistic note. As he explained via email, "I am thinking that earthworm numbers are too large, and that the earthworms (crazy snake worms) that we are concerned with actually spend most of their time at the surface or really close to the surface and move fast, so they can probably escape being eaten by moles." Whatever their worm impact, moles do aerate the soil and bring surface nutrients down to plant roots. So, the next time you spot their rippled roads crisscrossing your otherwise perfect lawn, try not to make a mountain out of a molehill — leave them be. The original print version of this article was headlined "What Created the Weird Dirt Formations in a Shelburne Meadow?"